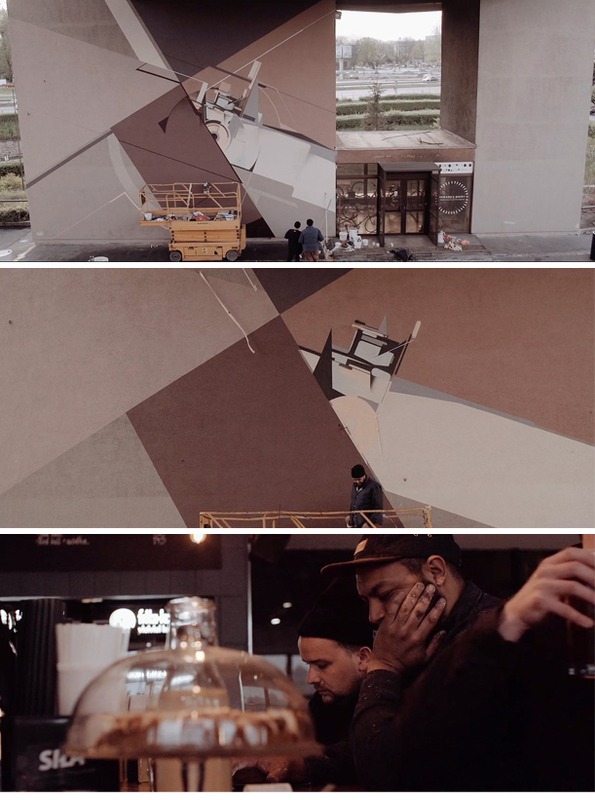 Film by Radek Drozdowicz of the creation of the collaborative mural. Painted late April, 2014 in Krakow, Poland at FORUM Przestrzenie. I was invited to Krakow by Majki Malinowy of Temporary Space and NAWER to paint a mural for the 1 year anniversary of FORUM Przestrzenie, a popular bar and social environment. For this collaboration we took inspiration from the location itself, a grand Brutalist modern design hotel built in the late 70’s by Janusz Ingarden then closed in 2001 due to constant foundation issues. 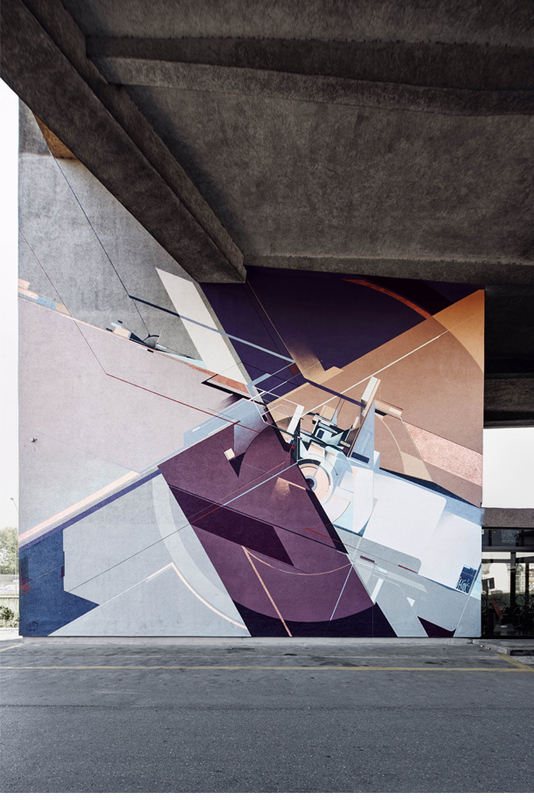 NAWER selected a complimentary color palette of beiges, creams, grays and purples, subdued but brought to life by our respected structural approaches. The title itself is a mash up of Forum and Formation. Forum refers to the locations title and Formation relates to the collaborative efforts of both artists working with shape and form. Many thanks to the staff at FORUM Przestrzenie for their help and support during the production week and Majki for the support.